This long highly desirable tousled curled wig embraces the spirit of the generous woman. It has luscious curls with a skin side part and long bangs that sweep to the side. And just like that, you are ready for your close-up. The Picture Perfect wig is soulful and waiting for the woman who wants to feel beautiful to don it. The woman who so boldly wears this wig will feel empowered and ready to take on anything. A picture is worth a thousand words, and you will find yourself feeling at least that inspired. Ombre colors available at a slightly higher price. This is my second Forever Young wig and I can't wait to buy more. Love this wig, it's gorgeous! I bought it in a reddish color and would buy every color in this style if I could. So many other great Forever Young styles & colors I'm anxious to buy. It's addicting! This wig is so beautiful. It's so natural and long enough for me. This is my second Forever Young wig. The other one I had was Fashion Note(it was cute) but that one don't even compare to this one. 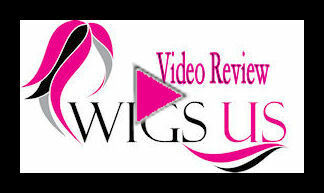 Thank you Wigs-Us!, you never disappoint me.The service this company has is on point. Shipment is faster than anything I've ordered online. Like the name implies, I hope Forever Young wigs stay around FOREVER! I bought this one in dark brown with blonde hi-lites. I really like the style - quite modern it is. Bit dark for me, but I love the cut of it. Plenty of colours to choose from though. Good wig.